We are giving away 500 Keys on RLSimulator! Simply download the RLTPrices app (follow link https://rltprices.com/download-app), head over to the 'news' page, and find your code. Our partner RLTPrices has just released their brand new app! 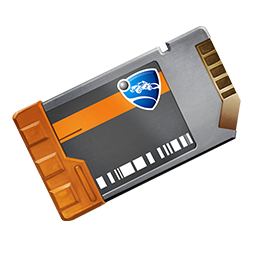 There is also a 100 key redeemable code for RLSimulator, when you download the app. To celebrate the Christmas Spirit, you can redeem the code 'merryxmas' in your settings to redeem a free item! Find your settings in https://rlsimulator.com/settings, and then find redeem a code! Merry Christmas! Dislike the snow effect on the website? Disable it in your settings, https://rlsimulator.com/settings. For the month of December, RLSimulator will be hosting daily giveaways. How to enter? Simply join the RLSimulator Discord Server (link below), and follow the instructions. RLSimulator Is giving away 1,000 Keys. Get lifetime right now, for $25 USD, message @Harrinovi#6969 on Discord. To celebrate 5,000 Discord Members, RLSimulator is giving away 5,000 Keys, to 5 lucky people! RLSimulator Is giving away a Full Mainframe Set. RLSimulator Is giving away 3,000 KEYS. In celebration of Halloween, there is a new code to redeem. Vote for weekly giveaways now! Sticking to our promise, we are releasing weekly giveaways for the community. To step it up, we are now allowing the community to vote! New logo, new season, new crate. We are proud to release our biggest season yet on RLSim, reaching up to 305 concurrent signed in users at once, and a massive flock of users on our mobile app. Our logo (above) was designed by Nilesword, an amazing graphics designer, and the new RLSim choice crate was created by the entire staff team, with Jamie putting extra effort in. We have started our first double exp weekend, a first of many weekend events, and well, I haven't got anything else to say. Don't forget, redeem code RLSeason6 to get a free item, keep grinding! The countdown for Season 6 on RLSimulator has started! HYPE! In addition to that, we have rolled out an update that reduces all intrusive advertisements on our mobile app! You can download it here. To increase activity within the RLS community, we are beginning weekly giveaways that will consist of high-value RLS items, which will be rewarded to one lucky winner. And from there, you will find further instructions! We are giving away a full set for the first week. See you there! Hello! Nice to meet you, i'm the new owner of RLSimulator. I would like to introduce myself, you may already know me from RLTPrices, well, now I am the owner of RLS. 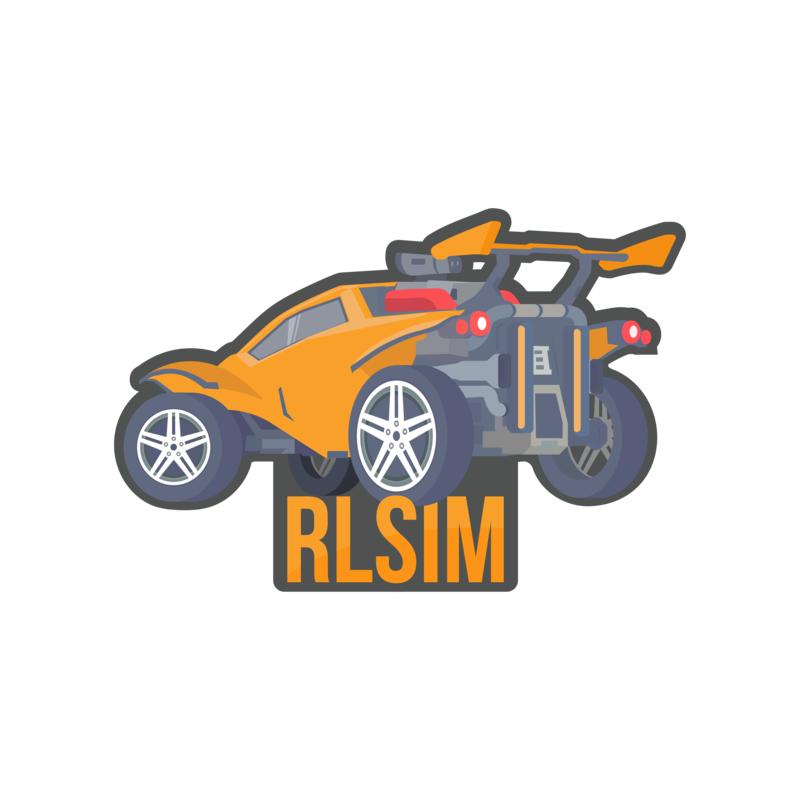 I intend on making RLSim great again, bringing new features and keeping it updated and fun. we now offer Lifetime Premium! If you are sick and tired of spending $5 every single month and going through the hustle of renewing your premium status every month, you can now avoid that. With just a single payment, you will no longer have to worry about premium. You will never lose it. Check out https://rlsimulator.com/premium for more information. Guys, we just released the new Zephyr Crate, go and check it out! Keep in mind, that the items from the crate don't have any prices or painted images yet. We will follow up with prices and images as soon as possible! Guys, we just released the new Impact Crate, go and check it out! Keep in mind, that the items from the crate don't have any prices yet. We will follow up with prices as soon as possible! RLSimulator is looking for new staff members! Hey, we just released the new Triumph Crate, go and check it out! Keep in mind, that the items from the crate don't have any prices yet. We will follow up with prices as soon as possible! If you don't have the app yet, you can download it here: RLSimulator APP or simply search for "RLSimulator" on the Google Play store! We will hopefully be able to release the app on IOS too. So keep an eye on the accouncements. Just added the new Spring Fever Crate! :P For now, only non painted items are in the crate. Painted items will be added as soon as possible. PS: All items are valued at 0 keys until the market sets a valid price for them. We are hosting a Rocket League 1v1 tournament for PC gamers! Tomorrow, the 23.02 at 3:30pm CST / 10:30pm CET / 1:30pm PST you will be able to participate in our first attempt of hosting a tournament. As mentioned above, it will be a 1v1 tournament with prices for not only the winner, but also 2nd and 3rd place will receive a price. The prices depend on how many users are participating in the tournament. But we can assure you, that the prices will be real Rocket League stuff, not RLS! To signup for the tournament, get on our Discord Server and head over to #bot_spamming and register using the !register command! After using the command, you will be given access to a special Discord Channel, that contains information you need. The amount of items in the marketplace are limited. It will get restocket once in a while, but be aware that, whoever comes first, will be able to buy the best items. Thanks for sticking around! For Season 5 we did the same thing, we did last season. Everyone that has been eligable for a Season Reward, has received it! Also, your EXP has been reset, so you can start fresh to grind up to Grand Champion! Also, for Season 5, we are officially releasing the Marketplace! On the Marketplace, you can buy a lot of items. Notice, that prices are higher than the actual worth of the item. Also, you can not put your own items into the marketplace! Have fun during Season 5! On the 12.02.2017(dd.mm.yyyy) RLSimulator.com launched into the internet! What started off as a small idea, rocketed to a very real thing real quick. When xLiquiiD and I started this thing, we didn't expect, that this would really work out as well as it did. We had a really slow start. We didn't advertise much, we just told some people about our website, that's it. It took several weeks until people started noticing us, but then we started to gain some popularity. After a while, we decided to create this exact Discord Server to get in touch with you guys. (best descision ever.) Discord has helpes us alot. Getting new ideas, bugreports or just general feedback. This is what made this project. We can not thank you guys enough to give us this great time and opportunity. As a first thanks, we would like to give you guys a new redeem code. Due to recent Server issues, we decided to move to a different and better Server. To get this done, we will need to go into Maintenance Mode for some minutes. We hope this won't take too long. Due to a new system we implemented, everyone that has a sibling playing on RLSimulator has to have their account connected to your siblings account. This helps us differ between multiaccounting or having a sibling on RLSimulator. To get your accounts connected, please contact a Staff Member(CM, Mod, Admin). Not having your accounts connected could result in us banning both your and your siblings account. So please get this done. So, as you may have noticed, someone had fun playing around on our Discord Server. Somehow, he kicked 3000 People and deleted everything on the Server. We will try to contact the Discord Support about this incident. Hopefully they can restore our Discord Server. Solve the puzzle and the code will pop up when you solved it. As you can see, we added the new Accelerator Crate :P As we dont have all images yet, especially images of colored items, some items don't have images. The same for prices. We don't have them all yet. So some items may be worth 0. Just keep them until they get a price. Guys, we are more than happy to announce, that season 4 of RLSimulator has officially started. And we are very grateful for you guys sticking with us this long. With this new season, all players, that are eligible for season rewards, have been given reward items and some even got the GC title! Congrats to you guys. So keep going guys, it may be worth it :P As some of you may notice, we did some changes to our Website. This really took us a long time, so we are very happy to present this new "version" of the Website. Every page, every user profile etc. now have their own link. So to access your user profile, you can simple use this link: https://rlsimulator.com/profile/NAME. You can also share your profile by sending that link to anyone you want to show it to. Of course, we tried to fix a lot of bugs, you guys told us about. If you find anything that is not working properly, please contact us. We will try to fix it as soon as possible! Thats it for today, we will now focus on making your guys's wishes come true, so expect many new upcoming features! Trade League IP3 Event + Giveaway!!! A huge giveaway, where you win actual Rocket League Items, e.g. White Draco, Crimson Apex, Hellfire and lots more! The whole event has prizes worth more than 500 Keys! Additionally, you can join Trade League's Discord Server and look for the #rlsimcode channel! This channel contains a redeem code, that will grant you 100 Keys! So head over to Trade League right now and take part in this epic event! To celebrate this huge event, we will host our very own Rocket League Giveaway. By reacting to our Discord announcement with you enter the giveaway and you will have a chance to win the Fireworks Goal Explosion!!! Our new Dashboard is very different to the old one. This new version does no longer have any Information on it (Besides our Partners). All Announcements, that we publish, will be visible on this Dashboard. With a total of 45 Questions + Answers, this FAQ hopefully contains every question, you could think of. If we are missing anything, please tell us! LOOT is a Rocket League community server, dedicated to trading and much more. Our server offers secure Middlemen service for Rocket League transactions bigger then the allowed limit, access to the biggest scammers database where you can check your trading partner before trading, a high performance reputation system & ofc, a trusted team. Go check out Loot guys! As all of you may have noticed, we implemented Email verification on our website! We are still having some problem with getting those mails delivered. If you did not get an email(be sure to check spam!) please contact xLiquiiD on our Discord server! He will manually activate your account! A huge Rocket League community, join us and ask about our $100 USD giveaway now! Bet on either Red, Black or the very rare Green! Win up to 14x your bet! Im sure you all know how it works. If not, ask the community. Once again, half of our Patrons didnt pay/have money, so we cant give Premium to the guys that didnt pay. Also if youre a Premium member now, and you didnt pay, we will remove Premium Status from your account. Dear Users, it's finally happening! PS: You may need to refresh the Website! PS: Please contact me to get things sorted out. Just a little reminder: Multiaccounts(having more than 1 account) are not allowed! If you want to keep your main account and not be banned, i suggest you guys to contact us before we notice your multiaccounts. If we see any multiaccounts, we will ban all related accounts including the main account. So contact us before that to sort things out. Alpha Items have been given out. Based on your database ID. As a thank you for playing the alpha. Enjoy! I wanted to thank you all for joining this giveaway, I congratulate all the winners of the giveaway! Keep your eyes peeled as I will be hosting more giveaways which could range from premium to actual stuff in real life Rocket League! Only time will tell, the video where I picked the winners will be linked below, and I would greatly appreciate if you could like, comment, and subscribe! I request all winners to message @CubE to claim your premium and the list of winners from the giveaway are tagged as follows @NatureIcy , @Tom , @Legacyy???? , and @Watrus90 ! Due to some difficulties and Randy691 not being present in the discord we rerolled and want to say congrats to our last winner @Agimic ! Hopefully everyone enjoys, and can't wait to do more giveaways in the future! We'd like to announce that we made a change to our current #website-and-chat-rules, in addition to "Using scripts is forbidden" we've added that macros/programs & software to automate the crate opening process is now a bannable offense aswell as the already in enforced "Using scripts is forbidden". The reasoning behind this is, that the advantage users gain over the "normal" players is just unfair, because they spent no effort into opening the crates, which they are likely to use for duels. To the people out there using those softwares/programs, we made a system which will detect if you open the crates the way they are meant to be opened. This rule will come into force at 12 AM CEST on the 19th of July. Hey Guys, one of our kind users decided to host a giveaway here on RLSimulator! @Rubix is offering you guys the chance to win one month of Premium Status on RLSimulator.com! All you have to do is got to #bot_spamming and do the command !giveaway. On July 19th, @Rubix will pick 5 People at random. These 5 people will then be rewarded with Premium Status for one month! Rebalancing of Ranks: Ranking is now much more balanced. Getting ranked will be faster. Getting Grand Champion will take longer. Season Rewards: Of course we got some rewards for you guys. Based on your Rank, you will be rewarded with a Special Item. Players who reached Grand Champion will receive a new Title. Groups: You can now create Groups with your friends. Play Games/Open Crates to get Achievements level up your Group. Higher Level means more EXP and more keys when playing games/selling Items. Make your Group the best on the Website! Chat: We finally implemented a Chat system! It's in the bottom right of the Website. That's it for now, hopefully this Season will at least be as successfull as last Season. PS: Season 3 starts at 3pm CEST. Season 3 will start on 07/10/2017 at 3pm CEST. All user will be rewarded with items based on their ranks. People who reached grand champion will get the "Season 2 Grand Champion" title. All ranks will be reset. Season 3 will start on 07/10/2017 at 3pm CEST! All user will be rewarded with items based on their ranks. People who reached grand champion will get the "Season 2 Grand Champion" title. All ranks will be reset. Hey guys, be sure to check out our friends at Glacial Trades! As some of you noticed, we got a new Server. On the other side, we need to finance this Server. We do not make any money on this Project yet, so we would greatly appreciate, if you guys decide to help us out. Some of you suggested, that we should create a Patreon page. Of course you will get rewarded for your support. You can read about rewards directly on the Patreon Page. Feel free to suggest more Rewards in the #improvements Channel. Let's make this Website great again! Hey guys, we are happy to announce, that the first season of RLSimulator.com ends right now It was a short first season, but it was a really great one. We had some Problems during early development, but we hope it will get better and better now. Your support was really overwhelming, thank you! As a gift from us developers, we would like to reward you all with Rocket League typical season rewards. You can see a Screenshot of the rewards below. Also, we are releasing a new Gamemode. Item TradeUp's will finally be released. We also made it harder to get Grand Champion, so keep on going guys Have fun getting rid of your dusty rare and very rare items Thanks for everything guys, have a nice time on RLSimulator.com! Added painted very rare items. We are happy to announce another brand new Feature. It's called Duel. Duel is a game where you can put up to 8 of your Items on the line for a 1v1 Battle vs. another player. You create a game with your items. Someone joins the battle with some of his items, that are worth the same or even more! Issues are fixed since 1pm. You can now connect your account with steam and use avatar for profile. If your steam name contains "RLSimulator.com" you will get some bonuses like more exp. Released coinflip. You can now flip a coin for keys. If you find some bugs please let me know. Added images for Roulette and Kalos.